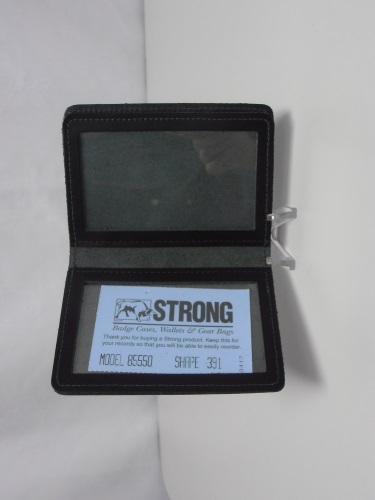 Carry your personal belongings with pride when having this great looking wallet with you. It can comfortably hold your license, credit cards, family photos etc. Show exactly who you are with this compact ID case. 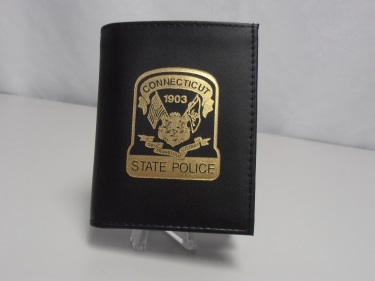 This will hold your license perfectly in place and it is donned with the CSP logo in sparkling gold! Leather key fob with a miniture replica of a Connecticut State Police Badge. Select available rank: Trooper, Sergeant, Master Sergeant, Lieutenant, Captain or Major. 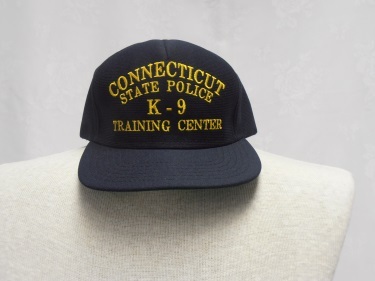 State Police K-9 training Center hat is a one size fits all in blue and gold lettering. 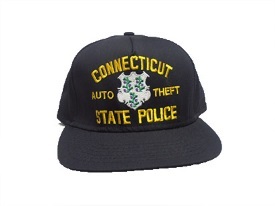 Blue and Gold one size fits all Auto Theft Ball Cap with the State of Connecticut logo beautifully embroidered in the center of the hat. One size fits all with the CSP patch logo embroidered front and center. 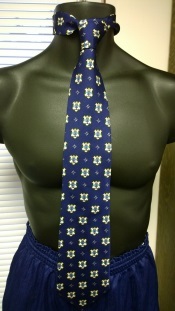 Show your support for those who lost their lives protecting others with this attractive neckware. 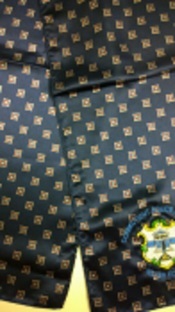 Blue Tie with CT logo of state police printed all over the tie. 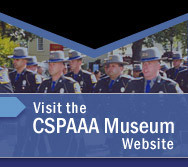 Copyright ï¿½ 2001-2019 Connecticut State Police Academy Alumni Association. All rights reserved.